ESCONDIDO- Dancing, food, mascots and Xoloitzcuintles. These are some of the things that were part of a Club Tijuana players autograph session Wednesday. 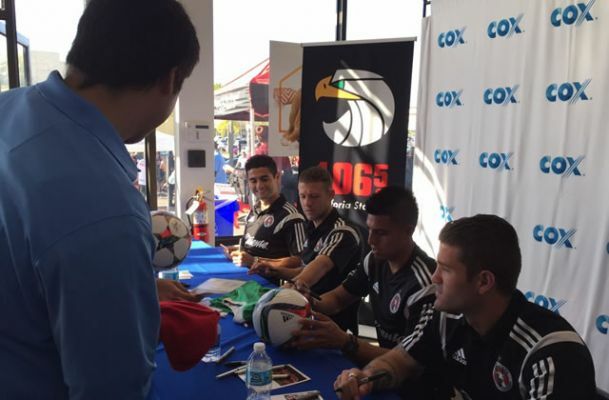 Joe Corona, Gregory Garza, Alejandro Guido and Paul Arriola were part of the event at the CoX Solutions Store in Escondido, Calif. Fans from different parts of North San Diego County came to see the players, get autographs and pose for photographs. 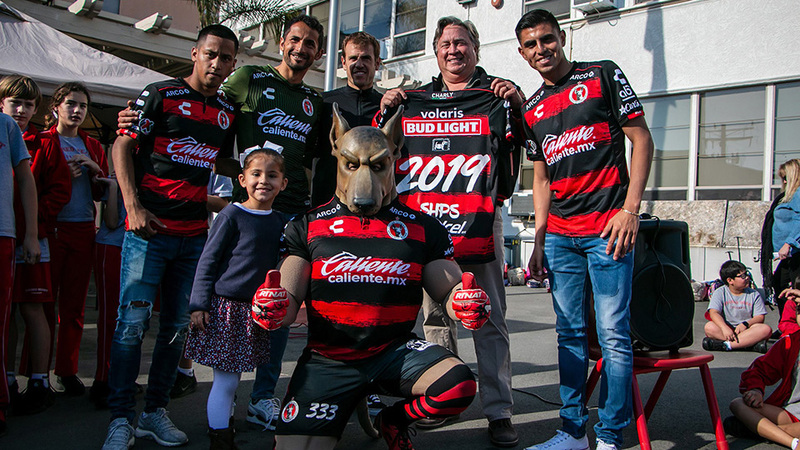 They also got a chance to mingle with Club Tijuana’s official mascot the Xolo Mayor. The team mascot spent some time dancing to music being played in the parking lot by a local radio station. Meanwhile, Corona, Arriola, Guido and Garza were greeting fans of all ages inside the store. The players signed many items, anything from soccer balls to T-shirt to photos and even a fan’s arm next to a Xoloitzcuintles logo. The fan said he planned to tattoo the player’s signatures into his arm. 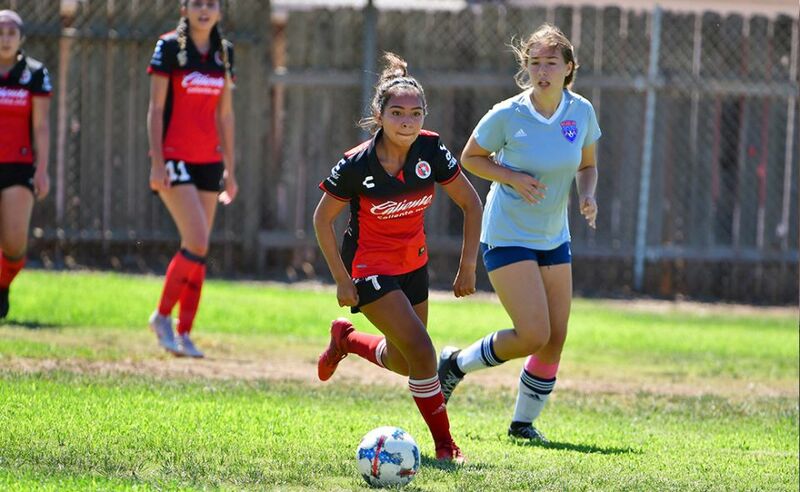 It was the first autograph session in North San Diego County and fans enjoyed the Xoloitzcuintles presence. The autograph session ended with the players posing for photos with Cox employees. Some took selfies, others took video while sending the players messages, wishing them good luck in their upcoming match against Atlas FC. 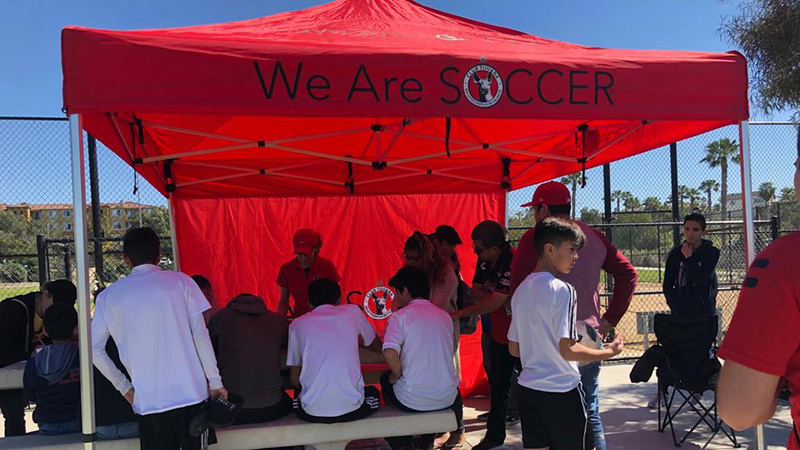 Club Tijuana hopes to continue being close to the fans with this type of activities in the United States. Thank you, loyal fans.